We normally ship this item with in one business day. The LS7300 is designed to give your body excellent blood circulation while your body sinks into the mattress allot more level than most high end mattresses. This will give you excellent body alignment while you rest into a deep sleep. It has only 1-2 seconds of very slow movement. Brilliant moon phase blue medically inspired high molecular, I-Flex, pearlized vinyl with premium grade plasticizers for long lasting suppleness & mattress life. Exclusive newly fashioned vacuum formed Orbital Support™ top offering low tension, 4-way omni-support - simulating the effects of weighlessness by keeping both mattress and body in balance within a fluid environment. Revolutionary seamless triple reinforced corners offering you the confidence of safety and durability. Multi-zoned and generously over cut top allows for perfect harmony in nearly perfect posturized sleeping space for each sleeper while offering unprecedented individualized comfort. 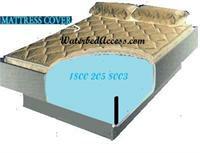 Recessed energy transferring bottom panel placed a world away from stressing and flexing associated with most of the mattresses on the market today. Hydro-lift enhanced re-energizing body support design for spinal boosting alignment and body renewing sleep, also for easy in & out accessibility. Thicker vinyl, edge-to-edge fiber rich design, 4-way hook & eyelet tether system, second stage air release valve and much more... - rounding out this new standard in flotation refinement! 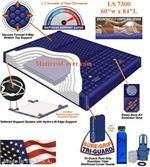 The InnoMax Luxury Support Comfort System water mattress line is produced, designed and manufactured in the U.S.A. The InnoMax Hydrodynamic Sleep Mattress Simulates The Effects of Weightlessness By Keeping Both Mattress & Body In Balance Within A Fluid Environment. Constructed Exclusively of High Molecular, Specially Formulated, I-Flex Vinyl with Premium Grade Plasticizers For Long Lasting Suppleness, Flexibility and Longer Mattress Life. Crafted with Heater Compatible Trimilitate Black Vinyl Bottom For Heater Pad Compatibility and Efficient Heat Transfer. Designed with Recessed Seams On The Bottom, Minimizing Seam Stress & Maximizing Durability. Ultra Premium Pearlized, Dynamic Radial Top with Omni-Directional Overcut Vinyl. Tri-Sectional, Multi-Zoned, Vacuum Formed, Body Profile Support Top Promotes Proper Body Alignment. 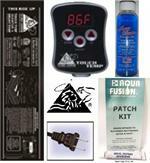 Hydro Lift Power Support Adds Interactive Support Where The Body Needs It Most. Tri-Guard, Sure-Grip, Triple Strength Laminated Seamless Corners. Generously Overcut, Radial, Lower Tension Support Top Allows For Each Sleeper To Enjoy Pressure Free Support Without Disrupting Each Other. Enhanced Mid-Body Support Provides Superior Support Where The Body Needs It Most. Easy Care, Two Stage, Fill and Air Release Valve System. Rugged 4-Way Hook & Eyelet Tethering Eliminates Fiber Shifting For Consistent Reliability. Designed and Manufactured By InnoMax® U.S.A. - Established In 1975, InnoMax Has Provided Almost 4 Decades of Dedication To Product Excellence. If you have any questions feel free to contact us at 1800 205 8003 or Click contact us at the top of the page.